The Board of the Canadian CED Network (CCEDNet) is pleased to announce that Carol Anne Hilton has been named Director for a term ending at the 2018 Annual General Meeting. 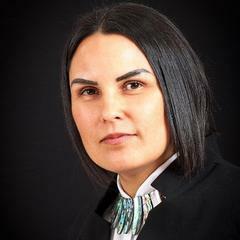 Carol Anne is currently authoring ‘Indigenomics - a Global Power Shift’ and has been an instructor at Camosun Business School Leadership Program as well as at Simon Fraser University’s Community Economic Development Program, the University of Winnipeg’s Masters in Community Planning Program and most recently with the Banff Center Indigenous Business Program. Board membership is open to all CCEDNet members, with at-large Director positions elected each year. If you are interested in joining the Board, contact us or watch for the annual call for Board nominations, which is usually sent to members in February.